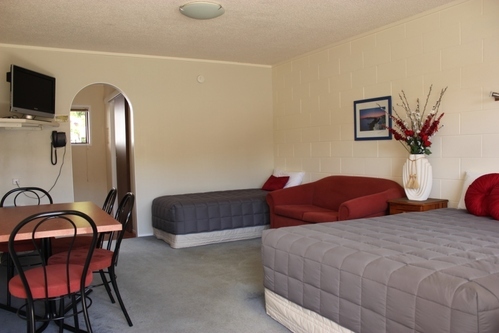 Queen Studio units have kitchen, phone, heating, 40 inch LCD TVs with DVD player, serviced daily and non-smoking. Balcony with outdoor seating. Bedding configuration: Queen size bed and single size bed. 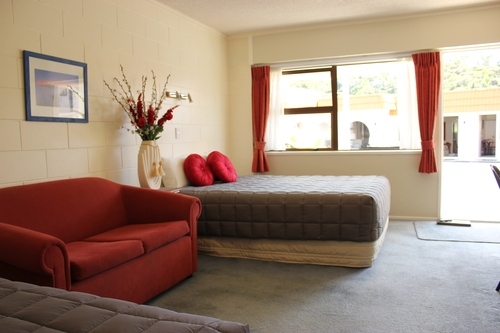 One bedroom units are suitable for a small group (up to 4 adults) or family and have a full kitchen and bathroom facilities, phone, heating, serviced daily and non-smoking. Unlike the rest of our studios, they have a separate bedroom. They have 40 inch LCD TVs with DVD players. 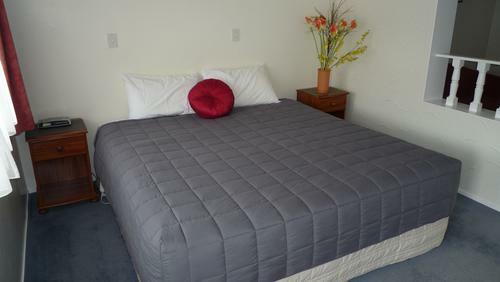 It has a double and single bed in the bedroom and a single and sofa bed in the lounge. Bedding configuration: Single sized bed & fold out sofa in the lounge. Double & Single beds in the bedroom. 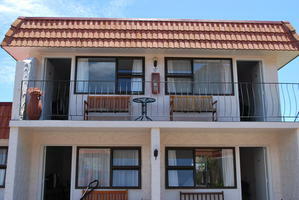 King Studio units have kitchen, phone, heating, 32 inch LCD TVs, serviced daily and non-smoking. Outdoor seating. Free Wi-Fi. 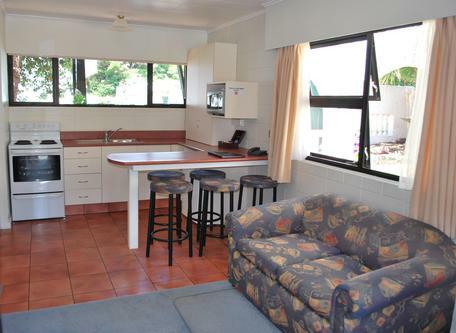 Queen Studio units have kitchen, phone, heating, 40 inch LCD TVs with DVD players, serviced daily and non-smoking. Outdoor seating. 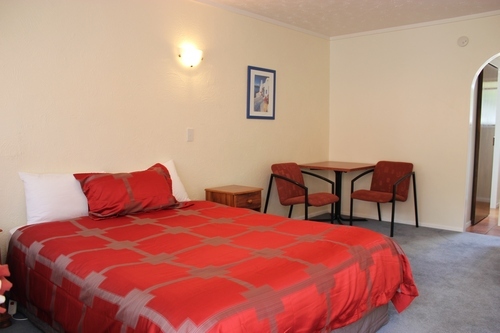 King Studio has kitchen and bathroom facilities, phone, heating, 40 inch LCD TVs with DVD players, serviced daily and non-smoking. Balcony with outdoor seating. Standard twin studios have kitchen and bathroom facilities, 40 inch LCD TVs with DVD players, phone, heating, serviced daily and non-smoking. Outdoor seating. Bedding configuration: Queen sized bed & single bed. 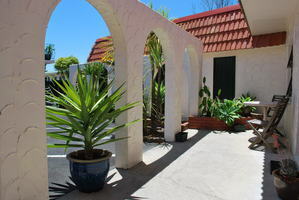 The Double Studio unit has kitchen, phone, heating, 32 inch LCD TVs, serviced daily and non-smoking. Outdoor seating. Double bed only. Bedding configuration: Double sized bed. 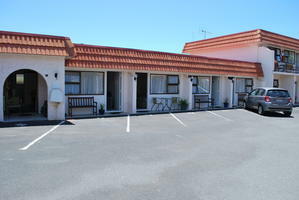 The Queen room has kitchen and bathroom facilities, LCD TVs, phone, heating, serviced daily and non-smoking. Outdoor seating. Bedding configuration: Queen sized bed.